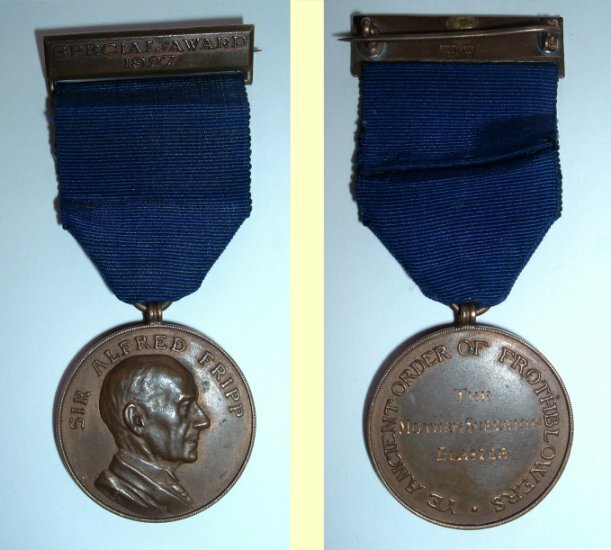 Sir Alfred Fripp had Special Award medals produced at Christmas time 1927. They were awarded to individuals that raised a minimum sum of £3 (Sterling) for one of his charities and were available upon request. Pictures courtesy of Steve Gane. 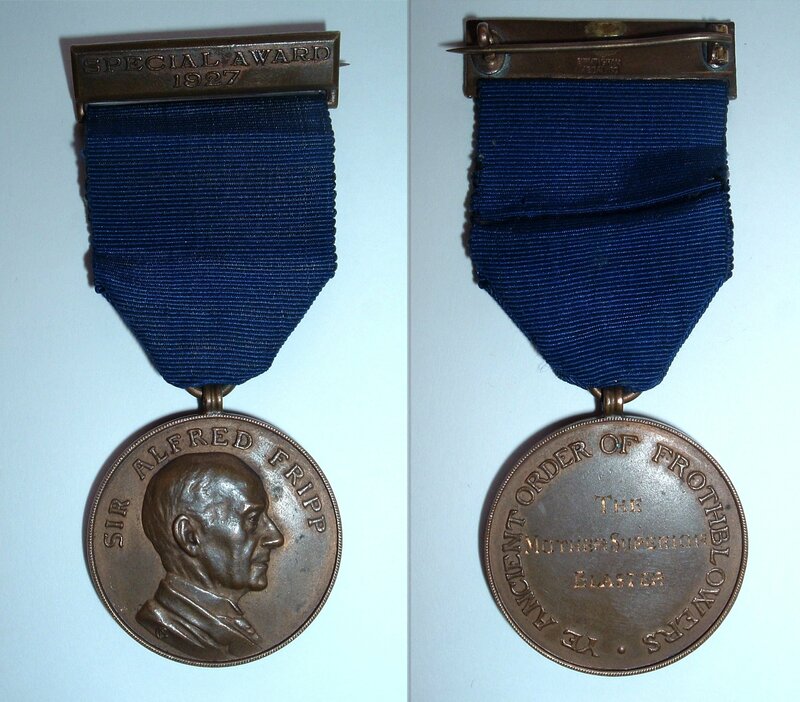 Special award charity medal of Mary Temple - Bert's mother, and director of the A.O.F.B..
Mary was Fairy Belle No.1, and also known as the Mother Superior. The medal has been inscribed ' The Mother Superior Blaster'. Picture courtesy of Richard Temple and the Temple family.